Goodnews for the mariners. 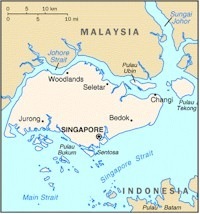 Singapore is going to be the worlds first Wi-Max ready seaport by early 2008.
project called as WISEPORT(WIreless-broadband-access for SEePORT) was launched jointly by Maritime and Port Authority (MPA) of Singapore and the Infocomm Development Authority of Singapore (IDA) on 26 September 2007. 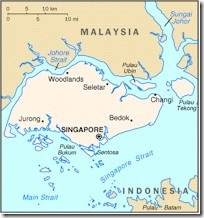 Aims to provide a mobile wireless broadband network within 15 km from Singapore’s southern coastline. So far certain activities such as regulatory filings, broadband communications, real time access to navigational data etc which could be done onshore can also be done offshore by the ships. Developing WISEPORT content and software applications covering messaging services and booking of maritime services will also be part of this project. Though the project cost is expected to be S$12 million, I strongly feel that this facility is a necessity and other seaports also should move in this direction to be Wi-Max ready.